Cannibal Cove in the outer Queen Charlotte Sound (Totaranui). Motuara and Long Island beyond. Arapaoa (Arapawa) Island in distance. Aerial view. 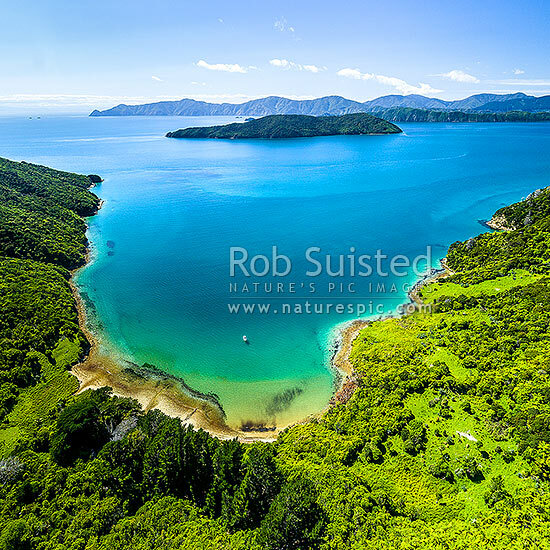 Square format, Marlborough Sounds, Marlborough District, Marlborough Region, New Zealand (NZ), stock photo.